The great baseball player Babe Ruth was honored and revered during his long reign as basball's elite in the 1900s. Known as the "Sultan of Swat," Babe hit 714 regular-season home runs during his baseball career and built a fabled reputation in many championship games. In his declining years, however, people expected to see him perform as a raw, talented rookie. Perhaps he stayed one too many seasons, and should have retired, but the need for money and the desire to squeeze one more good season out of his body kept him going. 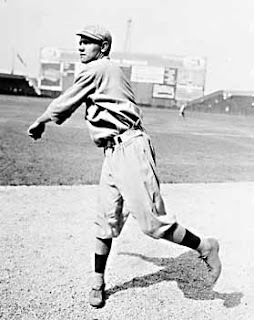 It is said that in his final year as a professional, Babe was almost embarrassing to watch at times. It all came to a head one day after Babe had committed some costly errors to hurt his team, amounting to some decisive runs by the opponent. The home team supporters reached their limit. As the Babe headed toward the dugout after the third out of the inning, fans began merciless taunting and booing, humiliating the once-great athlete. Forgotten were the days when he had been the catalyst for so many championship years. The booing was incredible. They say that at that moment, a boy jumped over the railing and ran onto the playing field, crying. He ran to his hero and wrapped his arms around the Babe. Ruth immediately responded by lifting him up and returning the hug and then patting him gently on the head. When the boy's kindness was shown , the booing from the stands stopped, and a hush fell over the entire ball park. The boy's kindness had softened the hearts of the people. The act of compassion had an effect on even the hardest of hearts in the park. Dear Lord we pray that we would treat others that would be pleasing to You. In Jesus’ name, Amen.